Hello there readers, and happy 15th day of Blogmas!!! I got a bit behind on my daily blogging these last few days, but now that I’m finally all caught up, I wanted to surprise my lovely followers with the blog-equivalent of a Christmas present: a Christmas giveaway!!! The Giveaway: One (1) Urban Decay Gwen Stefani Eyeshadow Palette. This palette has a gorgeous range of nudes, taupes, and golds, with a scattering of mattes and shimmers. 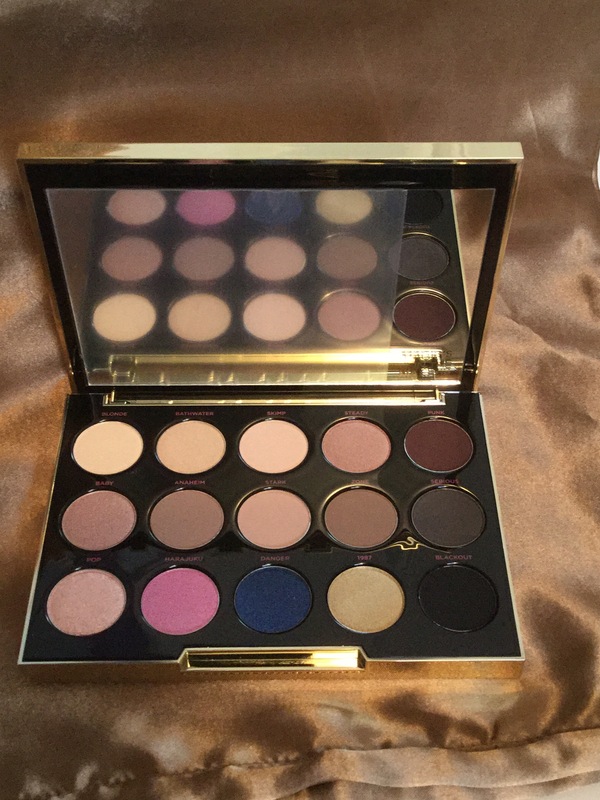 Gwen Stefani was involved in every step of the creation of this palette from the packaging to all of the colours, 12 of which are brand new, and 3 of which are already in Urban Decay’s collection. Stefani picked the shades as the ones she always wished she had in her makeup collection. This giveaway will be open internationally until Christmas Eve, December 24th, at 11:59pm PST. Names will be entered into an online random name generator to ensure a winner is selected fairly, and then I will announce the winner on this blog, and contact them either via email or through their blog’s contact page and ask them to get in touch. With up to three entries permitted per person, I hope lots of you will enter this giveaway. And feel free to reblog this giveaway so others can see it and enter as well. I follow you on twitter with the name buddlakequilts. I follow on instagram with the name shroomfrog. I love the colors in this palette. I follow you on IG and Twitter as @petrablack007.